Relaxation techniques are strategies used to assist in managing panic symptoms, reducing stress, and eliciting a sense of calm. Such techniques can also be utilized to help in relieving intense anxiety and getting through panic attacks. The following describes the relaxation technique of deep breathing. Start practicing this technique today to begin feeling more relaxed. Breathing is a function that we all do naturally and with little awareness. Deep breathing, also called diaphragmatic breathing, involves bringing one’s focus to the breathing process. Attention and effort are brought to each breath, allowing the belly and ribcage completely fill with each inhalation, followed by complete exhalations, letting all of the air out. Breathing exercises are typically easy to learn and can quickly help decrease nervousness. These exercises may also have a cleansing effect, making you feel more relaxed, refreshed, and energized. 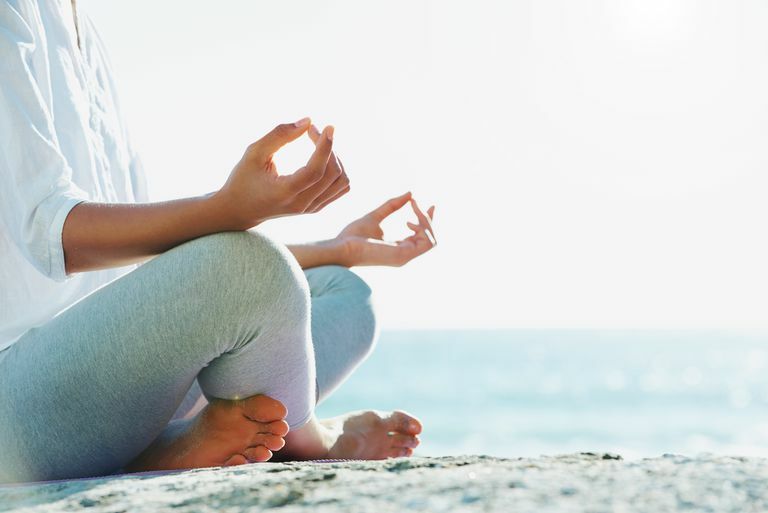 Deep breathing is also often the foundation for many other relaxation techniques, such as progressive muscle relaxation (PMR), meditation, and visualization. Your breathing plays an important role in managing the symptoms of panic disorder. Although you may not be conscious of your breathing process, it is likely that your breathing becomes accelerated when you are feeling nervous or afraid. Chest breathing, which doesn’t allow for full, complete breaths, is often associated with increased feelings of anxiety. In fact, shortness of breath, or hyperventilation, is one of the most common symptoms of panic attacks. Taking fuller breaths allows you feel calmer and in control when faced with panic and anxiety. Breathing exercises can work to help you cope with shortness of breath, along with other common anxiety- and panic-related symptoms, such as decreasing accelerated heart rate and relieving muscle tension. Additionally, diaphragmatic breathing exercises shifts focus towards the rhythm of your breath, clearing the mind of anxious, fearful, and negative thoughts. Begin in a comfortable position with a straight spine, such sitting upright in a chair or lying down on your back. Close your eyes or look down to assist in reflecting inward and focusing. Start to simply notice your breath. Are you breathing in and out from the chest? Are you breathing rapidly or slowly? Keeping your shoulders relaxed and still, begin to breathe with intention. Inhaling deeply and slowly through your nose, feeling your center expand as you fill your body with breath. Gradually exhale out through your mouth, letting all of the stale air out. Continue to focus on your breath, noticing how your center rises and falls with each breath you take. Repeat for five to ten more cycles of breath. As you breathe deeply, notice how you feel throughout your body. Are there areas that feel tenser than others? With each exhalation imagine that your body releases stress and tension. Before ending your exercise, take a few moments to notice how you feel physically, mentally, and emotionally. Focusing on your breath during a panic attack is not as easy as it may seem. To get the most out of deep breathing, it is important that you practice regularly and at times when you are not feeling excessively anxious. If practiced often, you will be also to use this technique when intense anxiety or panic attacks occur. If you are having trouble focusing on the expansion and contraction of your center, it may be helpful to place your hands on your belly or ribcage. As you practice deep breathing, notice how your center widens and when you inhale and contracts inward with each breath out. When practicing deep breathing, always bring effort and focus to shifting from chest to abdominal breathing. Take deep breathing exercises slow and stop if you feel worse. It is possible that focusing on your breath may initiate increased anxiety. If this exercise makes you feel more nervous, try taking only a few deep breaths and gradually work your way up to more. Aim to practice at least 5-10 minutes a day and pick a time that suits your lifestyle. Practice in the morning to start the day off relaxed, in the afternoon to recharge, or in the evening to get a better night’s rest. For an even more relaxing and anxiety-reducing experience, breathing exercises can also be used with visualization. McCall, T. (2007). Yoga as Medicine: The Yogic Prescription for Health and Healing. New York: Bantam Dell. Sovik, R. & Anderson, S. (2008). Yoga: Mastering the basics. Honesdale, PA: Himalayan Institute.